CLIMB HIGHER AND HIGHER!!! WHAT COULD BE UP THERE? NOBODY KNOWS... DO YOU THINK YOU CAN CLIMB HIGHER THAN THE OTHERS? Left and right arrows (or left and right directions on D-pad) let you move left and right. 'Z' (or the o button) lets you jump, double jump, wall jump, dive and if you're close enough to a ball, platformize that ball. This game is a sort of draft for the fuller HIGHER CLIMB which will be out by Winter 2016! Stay tuned for that by following me on Twitter! 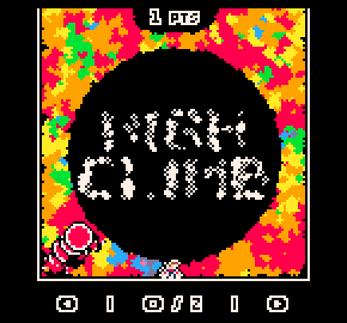 Check out the game on the Pico-8 BBS too and post your score there! The visual is so cool! What engine did u use? Use any shader?